High blood pressure (also known clinically as ‘hypertension’) is a nasty cardiovascular condition that can greatly increase our risk of developing heart disease and diabetes, among a host of other health conditions, such as stroke and heart attack. Often referred to as the Silent Killer as it presents with very few early symptoms, high blood pressure is thought to affect a whopping 75 million Americans – many of which whom will remain undiagnosed for years. High blood pressure is the direct result of our blood vessels becoming narrowed (often through the accumulation of plaque on the walls of these same structures), in which the heart is forced to pump much harder to move blood around the body. This understandably places an excessive amount of stress on the heart and the cardiovascular system, leading to the various issues mentioned above. The onset of high blood pressure is thought to be the result of a poor diet combined with a significant lack of exercise, which – when we consider the typical western lifestyle – explains its rather high rate of incidence. With this is mind, our first point of call when it comes to improving high blood pressure is to start cleaning up our diet and introducing a solid exercise regime. Once this is in place, there are also a number of key supplements that have been shown to help lower blood pressure significantly. As a result, they offer the perfect way to help improve our blood pressure when used in conjunction with diet and exercise. What Do Blood Pressure Supplements Do? Blood pressure supplements can impact the body in number of different ways. In which they improve the function of the cardiovascular system while also limiting the accumulation of plaque within the walls of the arteries. This can be accomplished by improving the body’s ability to manage the levels of cholesterol in the blood, while also improving the physical health of the blood vessels. In doing so, these supplements can limit the narrowing of blood vessels, while improving their ability to contract and relax each and every heartbeat. This will improve blood flow throughout the body, greatly reducing the amount of physical stress placed on the heart – the result of which will cause a subsequent drop in blood pressure and an improvement in cardiovascular health. What Should I Look for in a Blood Pressure Supplement? 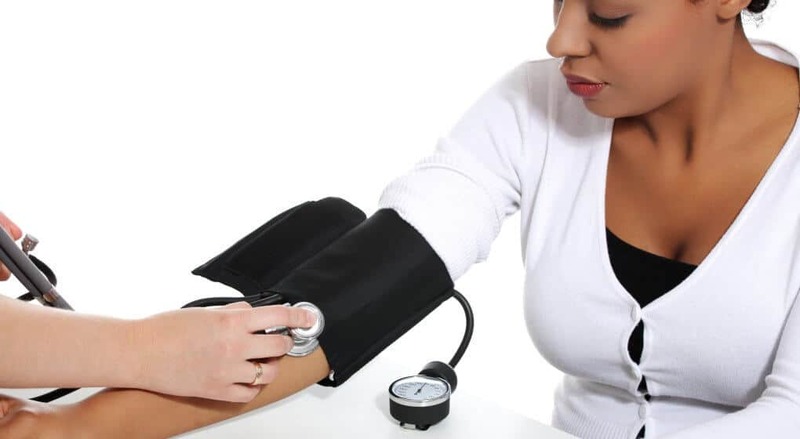 As high blood pressure is such a large problem within the united states, there has been a host of recent research into those supplements that may have the potential to help manage blood pressure levels. 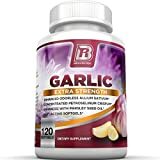 Garlic extract: is one of the most commonly prescribed compounds to those individuals suffering from high blood pressure. Research has suggested the consumption of garlic extract can reduce inflammation within the walls of veins and arteries, while also reducing arterial stiffness and lowering blood cholesterol levels – the result of which causes a large drop in blood pressure . Berberine: Is a specific compound that has been shown to improve the body’s ability to dilate its veins and arteries, increasing their diameter. This makes it much easier for the heart to move blood around the body, causing a subsequent drop in blood pressure . Fish Oil: is one of the most well researched supplements on the planet due to its positive impact on the health of the cardiovascular system. It has been shown to reduce inflammation within the body, reduce the amount of cholesterol in the blood, all while improving the function of the veins and arteries. As a result, the consumption of fish oil has been shown to significantly lower blood pressure – particularly in those individuals already diagnosed with hypertension. . Considering the apparent effectiveness of helping treat blood pressure with specific compounds, there are a number of blood pressure supplements available – although it is important to note that some are definitely better than others. As a result, we have done all the groundwork for you, finding the three best options available on the market today. BRI are one of our favorite supplement producers. They have developed a sound reputation for producing high quality products and making them available at very competitive prices – this makes them the perfect option for those individuals on a bit of a budget. And their garlic extract is no different. Coming in extra strength capsules, this specific supplement is one of the most potent on the market. Combine that with a high degree of bioavailability, and you have a recipe for success. 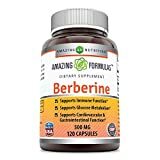 These 500mg berberine capsules are what we believe to be the best option on the market, in which they provide a very solid dosage of berberine at a decent price point. As a bit of a bonus, this particular supplement provides us with Berberine Hydrochloride – a specific type of berberine that is easily absorbed and used by the body. This makes them extremely effective. This is without question the most effective fish oil supplement on the market at the moment. 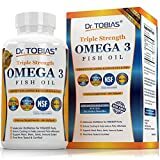 Dr Tobias are a company that have been producing excellent supplements for a very long time, and their high strength fish oil is one of their best. Offering us with an excellent source of Omega 3’s, it is the perfect option to improve cardiovascular health and lower blood pressure. High blood pressure is one of the most common health implications to plague the nation. While its occurrence is most likely due to poor diet and a lack of exercise, there has been a number of specific supplements that have ben shown to help lower blood pressure significantly. For those suffering from high blood pressure, these supplements should make the perfect addition to a healthy diet and solid exercise regime – causing large reductions in blood pressure and huge improvements in health. As always, if you have had any experiences with the supplements outlined within this article, we would love to hear about it – so drop us a comment and we will get back to you ASAP.